Rouen and Honfleur Private Tour Include: Private transportation, services of guides including a local expert guide for the city of Rouen, taxes, tolls and parking. 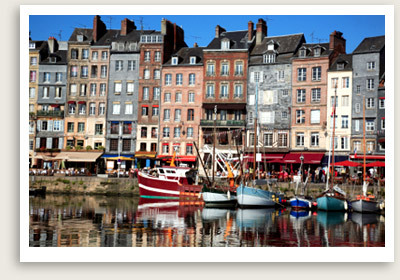 Your Normandy tour begins with Honfleur private tour. Honfleur is a charming port town that is lively At the heart of Honfleur, the old dock is full of character, from its old slate-fronted houses to the art galleries and cafes located in converted salt stores. Eugene Boudin and Claude Monet were among the famous impressionist painters who drew inspiration from Honfleur’s port.